And it is here. The collection that was for a while in a very dangerous and almost unrecoverable stall! 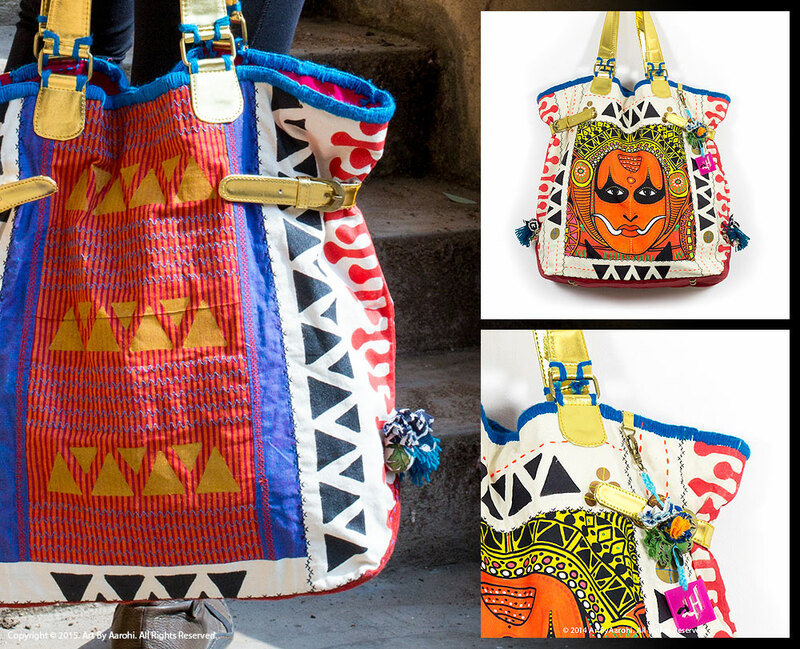 The new Jhola Collection for February 2015 is live. This is something that has been in production for almost a year. Between karigars not working on time or just plain ruining the work I did. I had to improvise and just do the lot myself. 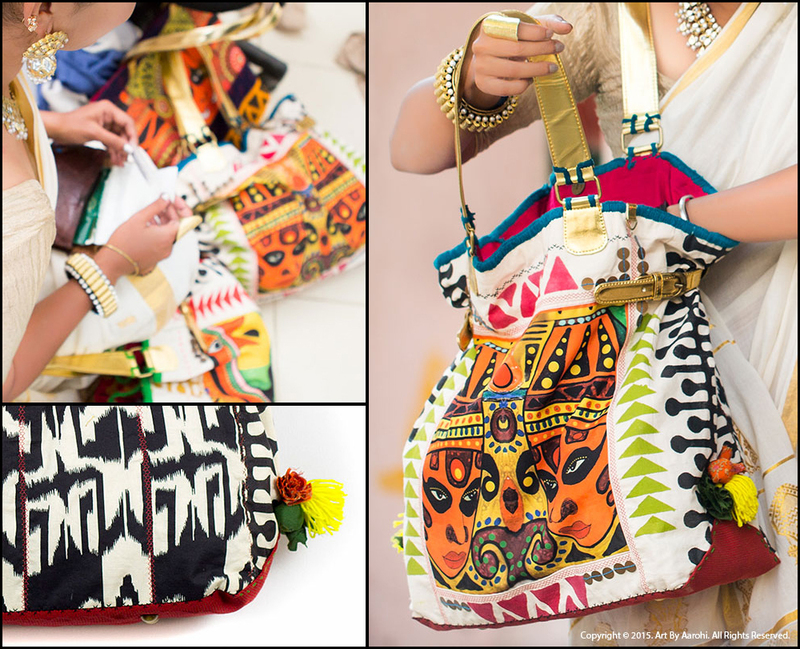 These jhola bags have been made in house. Only the gold faux leather straps went out to the karigars shop and he took six months over 10 bags!! Just not worth it. I almost gave up on this collection but given the effort that had already gone into them, I had to give it one last shot. These bags have been hand stitched and hand embroidered by me and my design intern has painstakingly stenciled every bag. 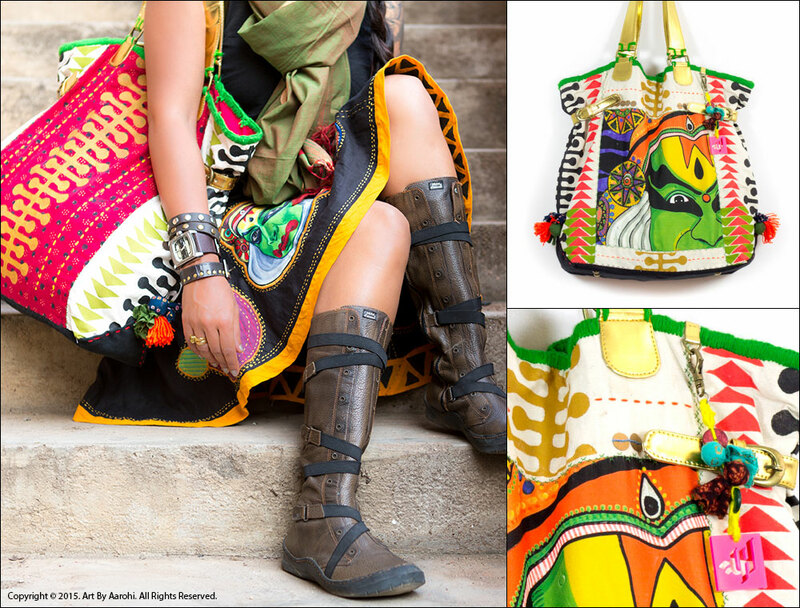 Each is an individual one-of-a-kind bag and looks different on the front and the back. 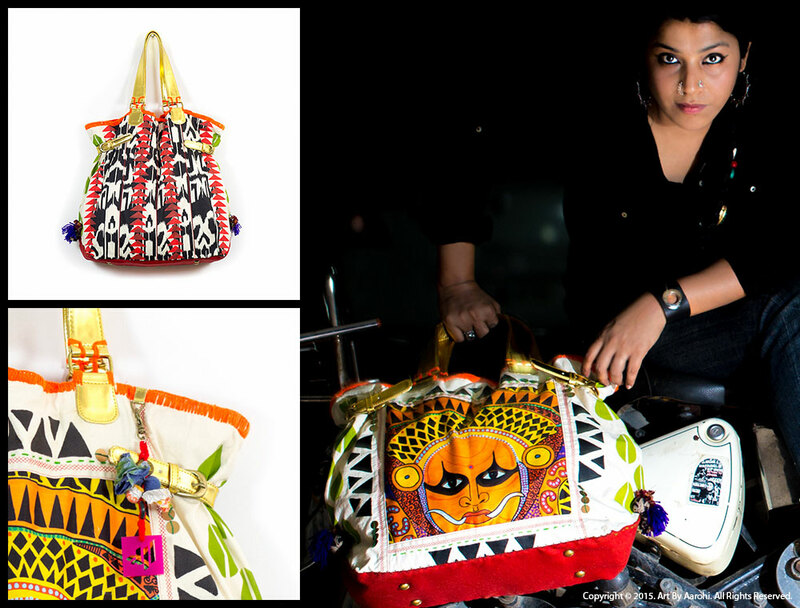 And more importantly almost 70% of these bags is made with up-cycled and reused fabric. So know that if you decide to take one home you are the only one who will have it! Make some room in that landfill, reduce your carbon footprint and help another soul along. This entry was posted in Acrylics, Graphic, Re-use, Re-work, Sewing, Upcycle. Bookmark the permalink.